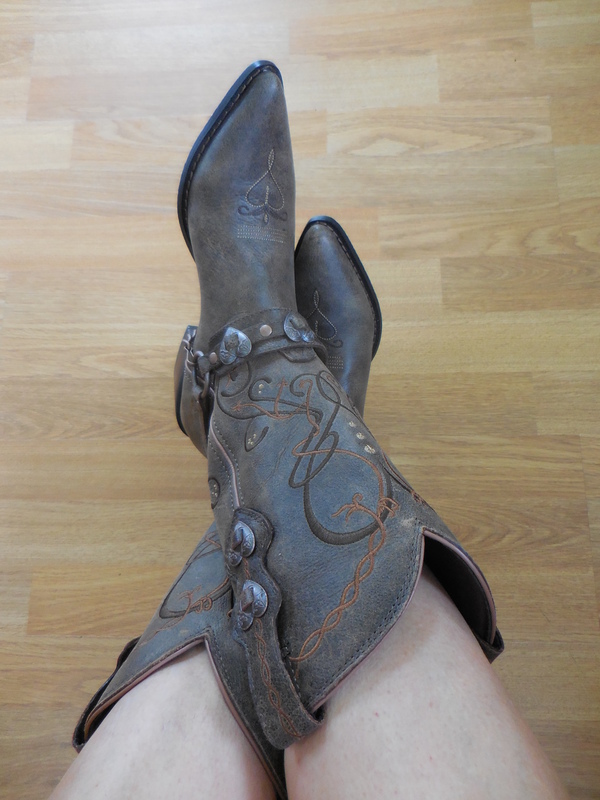 I purchased these beautiful Durango boots while on holiday in Nashville last year. For me, boots have always been a practical item rather than an aesthetic accessory; keeping my legs warm, protecting me from creepy crawlies while gardening, or saving my toes from those heavy objects I drop while working. Travelling through America’s South gave me a much greater appreciation of how boots can be really pretty as well as stylish and practical. With heels varying from flat to crazy high, and flowers and crosses and other designs stitched in every colour, not to mention a multitude of leather varieties, Southern cowgirl boots really are a work of art. So I broadened my boot horizons and dabbled in snazzy boots, complete with coloured stitching and hearts, albeit in slightly muted tones. I’ll tell you a secret though… they’re not my favourites. 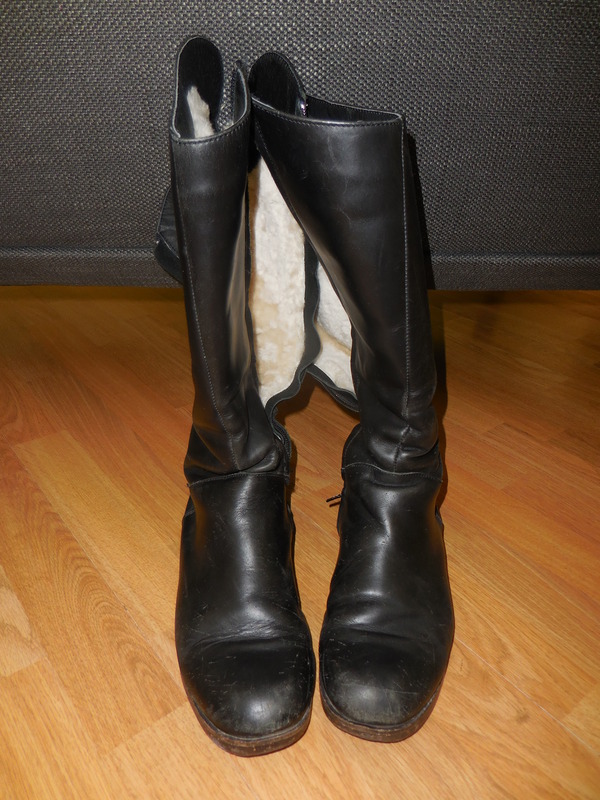 My favourite boots are still my faithful EMU black leather boots (currently in need of some boot polish). They’re comfortable and warm, are almost moulded to the shape of my legs by now, and have nice flat soles for which I am forever thankful. There’s something comforting about putting them on, my old friends that have traveled the world with me. I do love my snazzy new cowgirl boots, but I think my heart will always remain with my old faithfuls.